Affordable, five day, small-scale, Yoga and nature retreat. Sweden… peace, tranquility and openness. The landscape is the ideal backdrop for yoga, relaxation, promoting wellness and getting away from an increasingly manic existence called 21st century life. 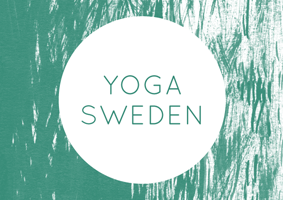 Small-scale, five day yoga and nature retreats beautifully situated in rural Sweden amidst lakes and forests in the area of the Black River Valley ‘Svårtadalen’. Enjoy seven two-hour sessions of Hatha and Scaravelli inspired yoga with experienced tutor Kari Knight (BWY dip), covering all aspects of yoga. Empty your mind during our 2-hour walking meditation along the small river ‘Svartån’ at Svanå nature reserve. Cleanse and purify your body with clean air, pure water and nourishing vegetarian food. Pamper yourself with extras including Swedish hot-tub, Reiki and classical massage, or experience the magical power of sound with Tibetan singing bowl relaxation or the sonically-charged Gong bath. Experience stillness on lake ‘Hällsjön’ or on the river ‘Svartån’ with our experienced canoe instructor or hire a bicycle and explore peaceful forest tracks and lakeside roads. Accommodation in traditional Swedish farmhouse, twin shared rooms (single room supplement available). Easy to add on a trip to Stockholm. It offers peace and quiet, big open skies and space to explore nature and yourself. Nature is never far away. When you see wildlife in Sweden one thing strikes you… it is undisturbed by man. This ‘small-scale’ retreat is run by Kari Knight, an experienced yoga instructor and teacher trainer, together with Stefan Taylor, a nature enthusiast and wildlife photographer. Together we have built good business and social relations during our many trips to ‘‘Svartådalen’‘ (The Black River Valley). It is a collaboration with John and Mandy who have created Edens Garden B&B. Autumn: 25 September – 29 September 2019. 625,- GBP/p/p 5 days (6750,- SEK). With single room supplement of 50,- GBP for all 5 days (665,- SEK). This retreat is small-scale and only 7 places are available. Seven two-hour yoga sessions and all equipment, airport transfers, two-hour walking meditation in the ancient forest, Ayurvedic meals provided by specialist chef Wendy Dierderen, twin-room accommodation in traditional farmhouse (single supplement available) and guided evening meditation. As for hidden costs – there are none. Arrive approx 4pm local time. Transfer to villa (45 mins). Swedish tea (‘fika’). Restorative yoga and relaxation. Dinner. Morning yoga, breakfast. Free time. Light lunch, 2 hours silence walking meditation in ancient forest. Restorative yoga and deep relaxation. Dinner. Morning yoga session, breakfast. Free time to explore… hire bicycles or join the guided canoe-wild life tour. Light lunch or packed lunch. Restorative yoga and deep relaxation. Dinner. Morning yoga, breakfast, free time for treatments: traditional massage or Tibetan singing bowl massage. Lunch or packed lunch. Evening yoga and deep relax in the Swedish hot tub. Morning yoga session, breakfast and leave at midday to airport. Arrive Stansted approx 6pm. For booking or more information, please contact Kari Knight. Read the article in the East Anglian Daily Times about the yoga retreat >Click Here< .